I haven’t been camping for a few years now – the tents and the ticks and the bears – but I like the idea of it. 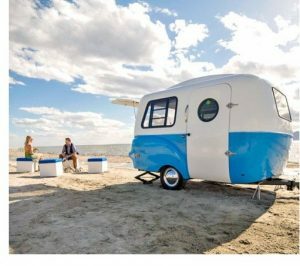 I would be more inclined to camp were I to invest in one of the very cool HCI Ultra-Light Utility Campers I found from the fine folks at Happier Camper. The HCI Ultra-Light Utility Camper is customizable and elegantly designed. Now that’s what I call glamping. Learn more about the HCI Ultra-Light Utility Camper from Happier Camper here. 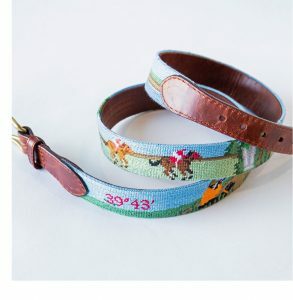 I love everything about the fine folks at Garden & Gun, but they have outdone themselves with this awesome Scenic Needlepoint Belt. Find the Scenic Needlepoint Belt from Garden & Gun here. See all the awesomeness that is Garden & Gun here. I have been in Kansas City for a few years now and was familiar with the iconic monument, The Scout, which is often used as a symbol if the city – however, until just the other night I had never visited it. 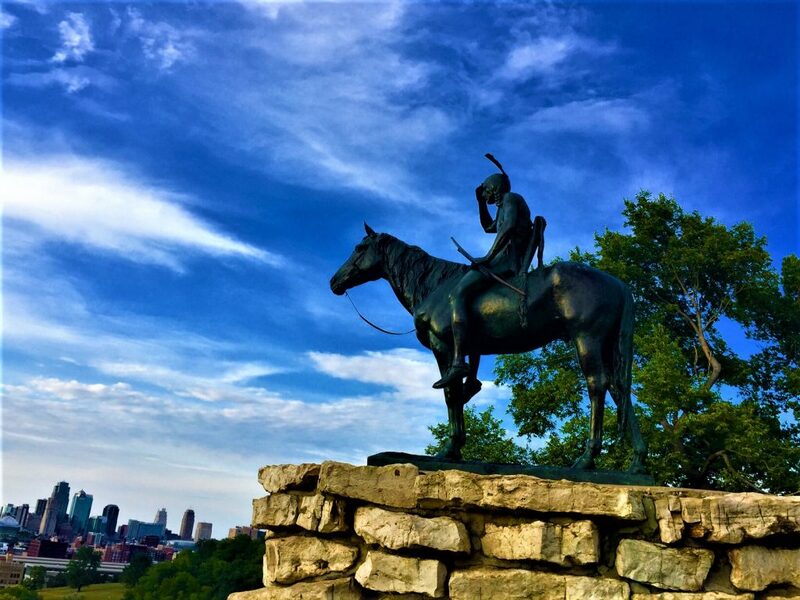 The Scout sits in a bluff overlooking downtown KC and it is the perfect location for this perfect work of art. 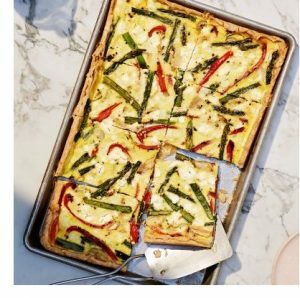 Here’s another great way to get the most of the fresh veggies that are bursting out from the summer bounty at your local farmer’s market: this recipe for Grilled Veggie Slab Quiche I found from the fine folks at Family Circle magazine. Find the recipe for Grilled Veggie Slab Quiche from Family Circle magazine here. See all the other great recipes and tips for your home from Family Circle magazine here. I love the simple elegance and the supreme form and function of the Looking Glass Perch chair I found from the fine folks at Blue Ridge Chair. Find the Looking Glass Perch from Blue Ridge Chair here. See all the great chairs and related items from Blue Ridge Chair here. FF: The Classic Sling Chair from Business & Pleasure Co. 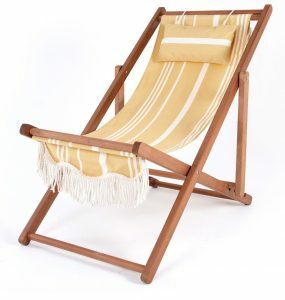 Meanwhile, the fine folks over at ‘ have perfected the Classic Sling Chair and it is really something to behold. 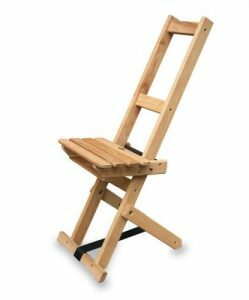 Find the Classic Sling Chair from Business & Pleasure Co. here. There is still plenty of summer left to enjoy the beach and pool, but summer is way too short not to indulge yourself with a Cabana Stripe Beach Towels from the fine folks at Kassatex to take along. 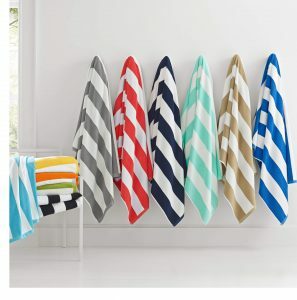 Find the Cabana Stripe Beach Towels from Kassatex here. See all the fine products from Kassatex here. Darn, I should have compiled a book about bar carts when I had a chance. 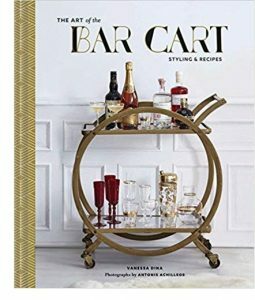 But alas, the fine folks behind The Art of the Bar Cart – Styling & Recipes (Vanessa Dina, text by Ashely Rose Conway, photographs by Antonis Achilleos) have beat me too it – and I am cool with that as this book is great. The best part of this book is seeing all the cool options for bar carts – maybe inspiring enough to make me get off the fence and commit to one finally. Stay tuned. Art of the Bar Cart by Vanessa Dina is available from Amazon and other fine booksellers everywhere. I am still looking for the perfect “investment” bag to replace the dozen or so inferior bags I have been using on rotation. I think we have a contender in the really cool leather Reporter bag I found from the fine folks at Moral Code. Find the Reporter Leather Bag from Moral Code here. 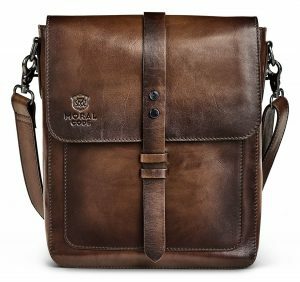 Find all the classy products of Moral code here. 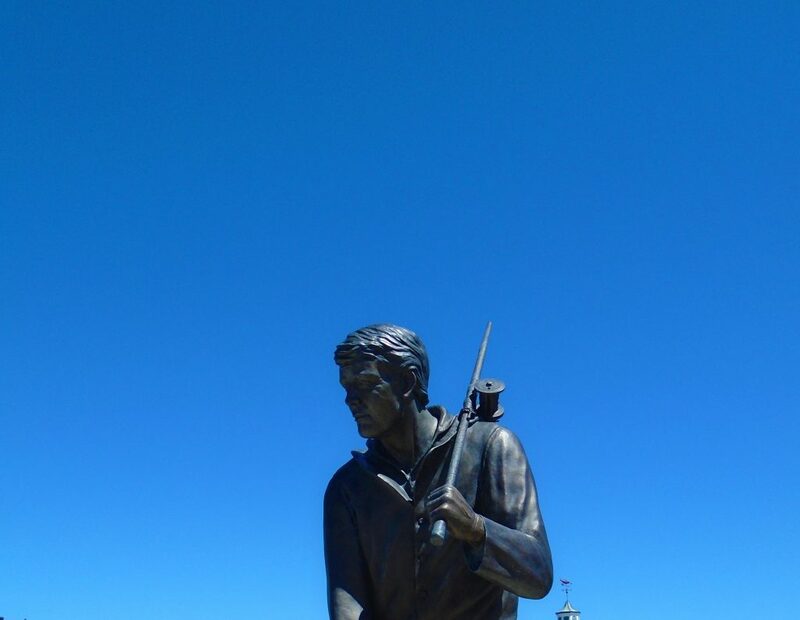 While biking along the great Cape Cod Canal bike path, I stopped to take this picture of, The Fisherman, a statue that honors the many fishermen who have come to the Canal to fish over the years. Seeing thing brought back some of my oldest childhood memories – coming to the Cape Cod Canal with my grandfather. It has been a while since I posted about a bike – but it has been a long time since I saw one that I really want. That all changed when I found the Café from the fine folks at Vintage Electric Bikes. Find the Café Bike from Vintage Electric Bikes here. 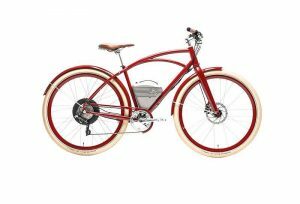 See all the models from Vintage Electric Bikes here.